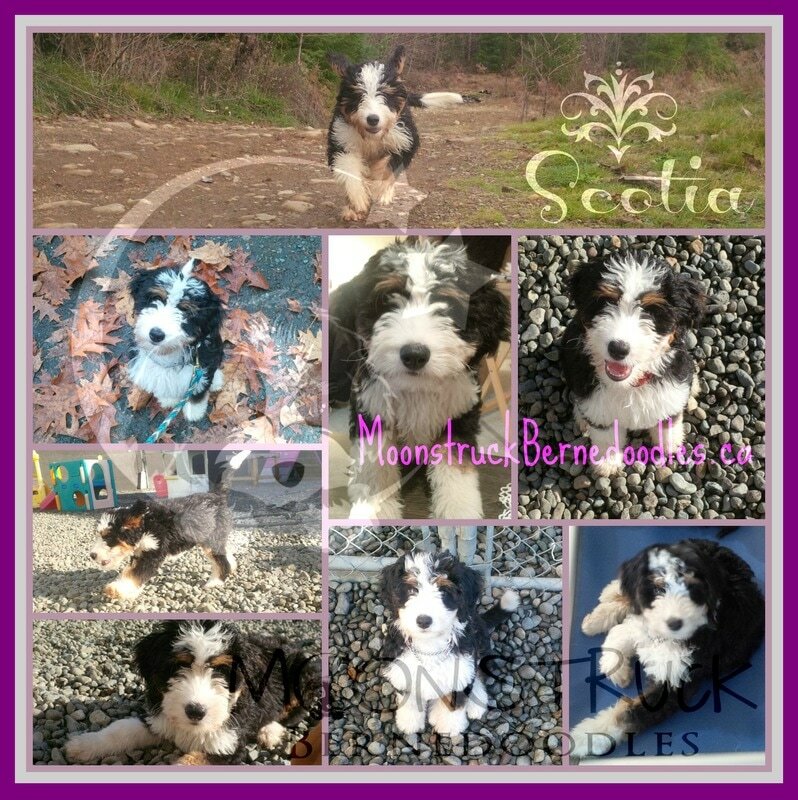 Scotia is our special F1 Bernedoodle girl from our very first litter! 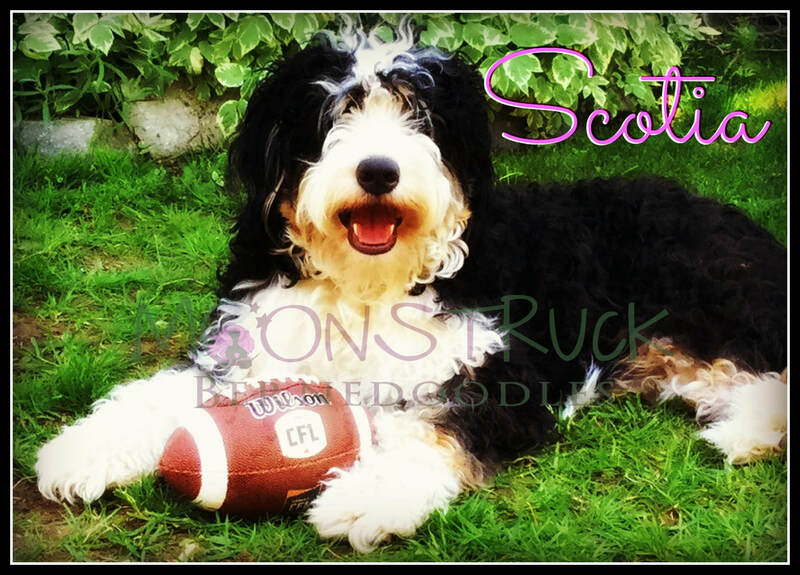 Her mother is Moonstruck's Rosie (Bernese Mountain Dog) and Copper Canyon's Murphy (Australian Labradoodle). Scotia is a silly, playful, gentle girl who charms everyone who meets her. 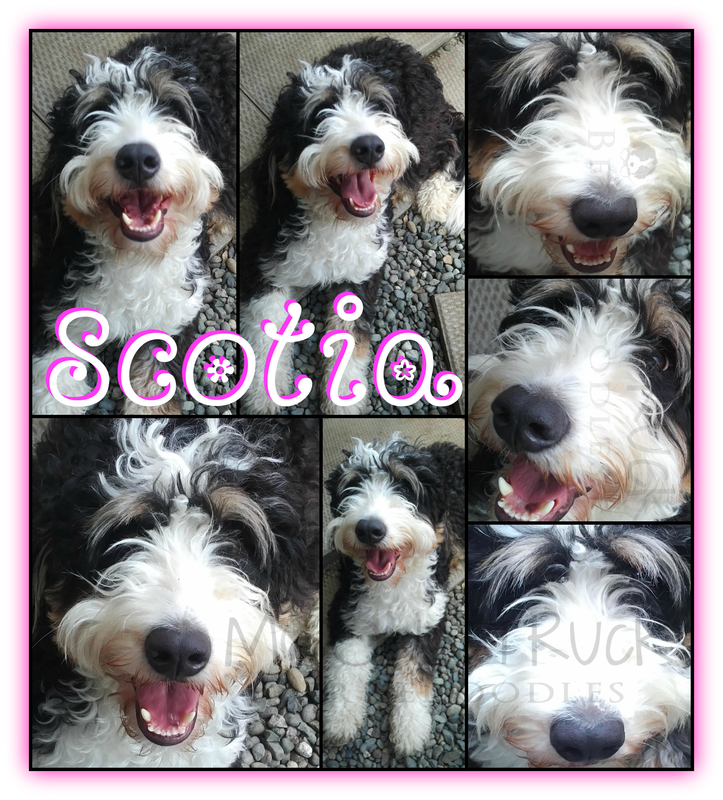 Scotia lives with a guardian mom and dad in Campbell River who dote on her and treat her like a princess! She has lots of grandkids who come to visit and play with her. Such a lucky girl!